When planning to replace your old roof, you need to consider many factors. Your roof is your best defense against the elements, so make sure you have everything covered before starting your project. Various factors can cause delays for your project. Whether you are looking to get a new residential or commercial roofing in Auburn, it’s always better to be prepared for the unexpected. Tedrick’s Roofing shares four things you need to consider to make sure your project runs on time. 1. Choice of material – Roofing materials, such as the vents, flashing, and other accessories, can significantly affect your project timeline. While you can easily purchase some materials, specialty items may need longer shipping time, causing delays for your project. To know which materials you can purchase easily, turn to Tedrick’s Roofing. We can recommend the best products and materials for your roof with the fastest shipping time. 2. Necessary permits – Choosing the right contractors is critical to make sure the work process will flow smoothly. One of our roles as a trusted name in Des Moines roofing is to ensure we obtain all the necessary permits to start the job. 3. Busy season –Most roofing jobs take place during warmer months in spring and summer, as the dry weather makes the process easier. Schedule your project earlier to make sure your contractors will complete the job on your preferred time. 4. Weather constraints – Roof replacement and roof repair in Des Moines are outdoor jobs, meaning the weather can greatly affect their progress. It’s best to use a weather monitoring app to get the forecast in real time. It will help prevent guesswork and give you time to plan ahead. Tedrick’s Roofing has been the most trusted home improvement company in the region for over 25 years. With our products and workmanship, we are able to help thousands of homeowners get quality roofing. 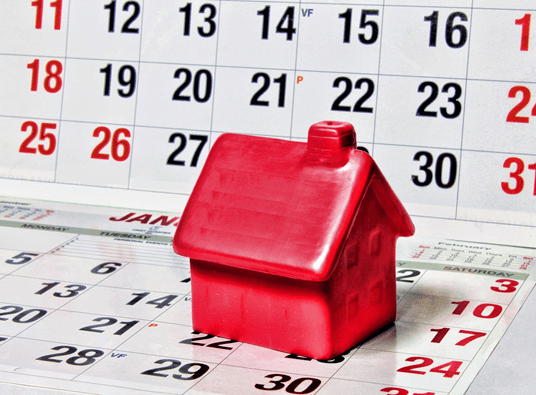 Regardless if you want a metal, shingle, or flat roofing, we can help you complete your project on schedule. Give us a call at (877) 212-9355 or fill out our request form to schedule a FREE consultation today.